2017 Catana 47 'Sulis' CUSTOM CARBON Owner's version in 30th anniversary edition styling [#43] (3 cabins, 2 heads) Vacuum infusion construction (Twaron® Impact process reinforced hulls, structural bulkheads in sandwich PVC foam and carbon, roof, floor plates, omegas, shroud chain plate areas and structure reinforcements). 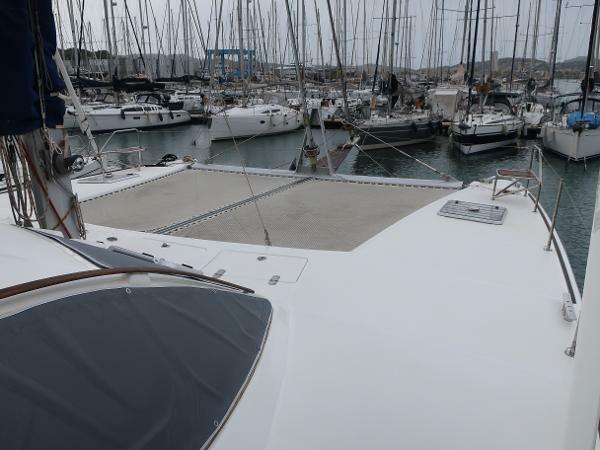 By far and away the most immaculate Catana 47 on the market today. Fully equipped and little used, she is absolutely like new throughout. It is doubtful you could tell the difference between this one and one fresh out of the factory. Due to the fact that the Catana 47 is no longer in production, this unit represents a last opportunity to own a new Catana 47, at a fraction of the cost. A very rare offering for sure. 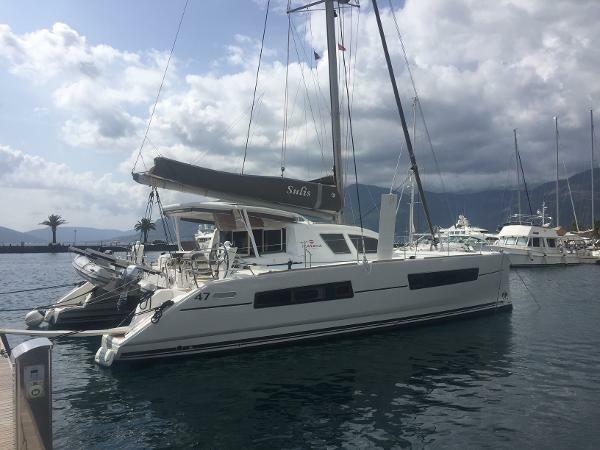 An exceptional Catana 47, launched 2017, in mint condition. 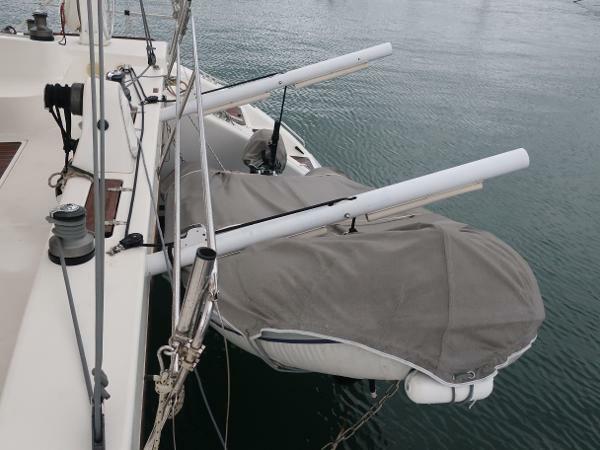 We sold the boat from new to the current owners and it is a truly unique opportunity to own a basically brand new Catana 47 (one of the very last ever built) at a very fair price. UPDATE - in 2019 she is getting a new facelift: New Volvo 75HP engines and Saildrives New three blades folding propellers Refit of the engine bilge New radar and antenna New lazy bag Refit of the 2 last steps at transoms Complete service of the electrical Refit of the interior woodwork Airconditioning She is currently under refit in order to become even more beautiful and more performing, and will be available again as of April 2019. She is waiting for you, do not hesitate to make an appointment right now for a viewing and a sea trial! 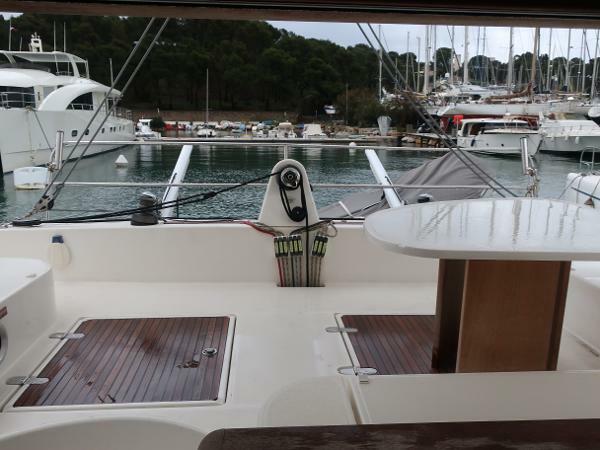 This Catana 471 Ocean Class 2006 (4 cabins version) was acquired in 2012 by her current owner. 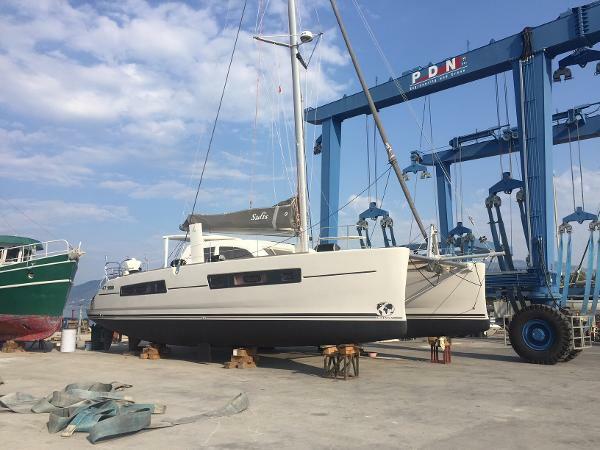 She underwent a deep refit after her purchase and all the work was done with care by Catana shipyard.Special attention has been paid to reliability, safety and comfort. Since her refit, she has never been chartered, navigation exclusively in the Mediterranean during the summer at the hands of her particularly caring owners. In 2016, all electronics were replaced by high-end instruments (latest generation Raymarine). This catamaran, very comfortable, powerful, reliable and safe is equipped with a 3.80m tender (registered) with a 20CV engine for water skiing and exploration. The refit included, electric toilets, washing machine that works without the generator using hot water from the board, a dishwasher, two new fridge / freezers, a set of very recent sails. 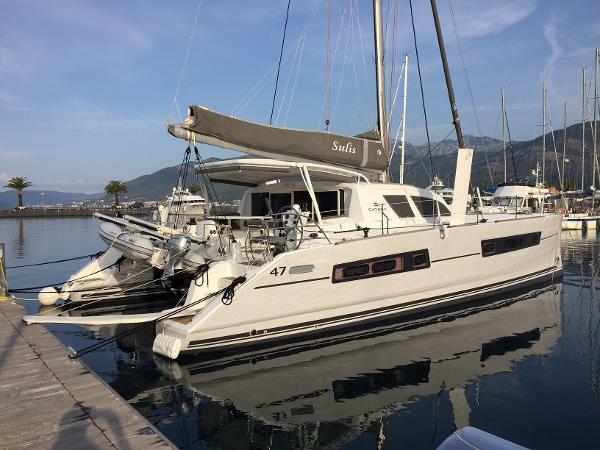 Very easily navigable with short handed crew, the current owner couple regularly sails without additional crew. All lines, including reefing, forward sail reels and dagger-board are returned to the central electric winch, located in the cockpit. This winch is also used to raise and lower the tender thanks to an ingenious system, it is possible, for one person, to maneuver it, without effort, in a few seconds. So the boat can also be single handed. The shades of the cockpit have been replaced by Sunbrella canvases that can remain stationary in navigation regardless of the strength of the wind, sun or rain... The engines, Volvo D2 55 are of a simple construction and robust and of low consumption. They total 6,500 hours and are maintained by a professional mechanic.